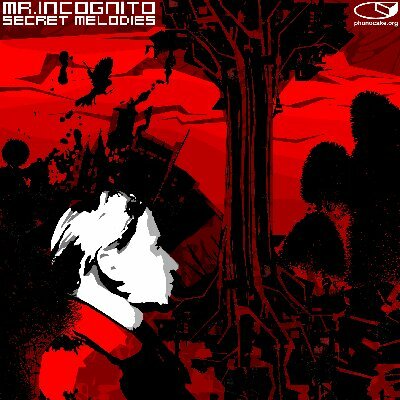 It is time for a new release by Mr. Incognito. After an eventful year filled with live acts and quite a few ups and downs, Phonocake presents the 'Secret Melodies' of the year, some of which were already introduced in a mix by Mr. Incognito in Dresden's oldest radio show for our musical tastes, 'Buschfunk'. At first, we considered offering this great release to other netlabels also to promote our idea of building a network with other netlabels via the musicians, but Mr. Incognito feels very close to Phonocake, and so we stay true to each other and you will have the release ready and waiting in front of your cursor right here, on Phonocake. We can be happy that we got to know Mr. Incognito in the year 2003 through the connection of a supporter back in the audioLAB at the Postplatz square in Dresden. And so, let us celebrate this rather extensive release, yielding quite wonderful music that found its way to us from the 2005 electro-hideout of Mr. Incognito, but also some re-discovered tracks from 2004. And with that, we wish you a pleasant listening experience.